GPS III satellites in production. Image Source: Lockheed Martin. The U.S. Air Force has approved Lockheed Martin’s current GPS satellite ground control system upgrade to enable it to operate with more powerful and accurate GPS III satellites, the company said. The Air Force’s Critical Design Review (CDR) for the Contingency Operations (COps) contract, completed on November 17, allows Lockheed Martin to proceed with the modification of the existing Architecture Evolution Plan (AEP) Operational Control Segment. The AEP, maintained by Lockheed Martin, controls the 31 GPS IIR, IIR-M and IIF satellites in orbit. Lockheed Martin said that the COps modifications allow the AEP to support the new GPS Block III satellites by enabling them to perform their positioning, navigation and timing mission, once they are launched. COps is envisioned as a temporary gap filler prior to the GPS constellation’s transition to the next generation Operational Control System (OCX) Block 1, the company said. 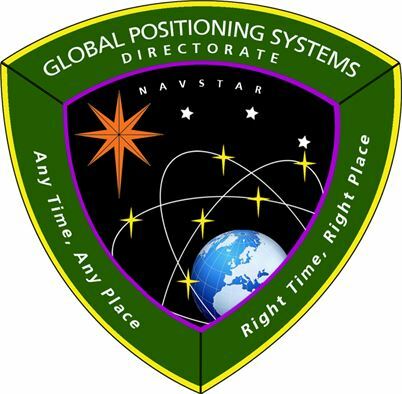 "The GPS constellation is a valuable asset to our warfighters, our nation and the world. This risk-reduction effort ensures the Air Force has the ability to maintain the constellation at full strength," said Mark Stewart, vice president of Lockheed Martin’s Navigation Systems mission area. "We are here to support the Air Force and the GPS III program any way we can." In February, the Air Force awarded Lockheed Martin the $96 million COps services and supplies contract. The government approved the company’s proposed ground system modification during a Preliminary Design Review on May 11, the company said. As Inside GNSS reported, under a separate contract in October, Lockheed Martin completed the Commercial Off-the-Shelf (COTS) Upgrade no. 2 (CUP2) project, which is part of a multi-year plan to refresh the AEP’s technology and enhance the system’s ability to protect data and infrastructure, the company said. Lockheed Martin said CUP2 is now fully operational and managing the current GPS constellation. In September, Lockheed Martin received a $395 million U.S. Air Force Space and Missile Systems Center contract option to build two additional GPS III satellites. The contract option calls for long-lead and production hardware to manufacture GPS III space vehicles (SVs) 9 and 10. The government plans to compete future purchases of GPS III satellites beginning with the GPS III SV 11. This future competition will maintain the current technical GPS III baseline, and will add additional hosted payloads to increase system accuracy, search and rescue capability, and universal S-Band compatibility, the Air Force said.